Now listed as the No.1 in the Asia's 50 Best Restaurants, "Odette" is one of the must-go destination for the international foodies. 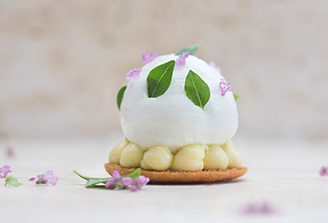 Award-winning chef Julien Royer is co-owner of Odette, a 2-Michelinstarred Modern French restaurant located at the iconic National Gallery Singapore. Established in collaboration with The Lo & Behold Group, Odette offers a constantly evolving menu that showcases globally sourced produce underpinned by classic French culinary techniques, Odette is named in tribute to Royer’s grandmother, one of his greatest influences in life and in the kitchen, and reflects her belief in always ensuring that the fundamental pleasures of enjoying a meal are delivered in the most thoughtful, welcoming and hospitable manner. Royer has devoted years to forging lasting relationships with some of the finest boutique producers from around the globe–including suppliers from Japan, France and Australia. 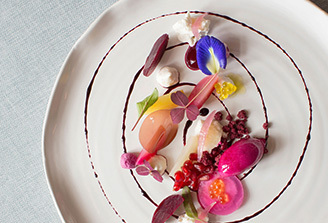 He takes pride in offering guests a unique opportunity to taste these exceptional ingredients at their peak in his restaurant in the heart of a city that is itself at the crossroads of the world. The result of this devotion to sourcing is an inspired effort that celebrates and respects seasonality, terroir as well as the skills of some of the world’s top boutique producers. Growing up on a farm in Cantal, France, Chef Royer’s family picked and cooked their farm’s fresh seasonal produce, the process was headed by his grandmother, Odette. Royer’s first venture into the kitchen under the legendary Michel Bras in Laguiole instilled in him a respect for the integrity and purity of each ingredient in every dish. He then moved to Durtol, where he worked for Chef Bernard Andrieux who helped reinforce this reverence. Royer’s culinary career then took him from the French West Indies to London, where he was sous chef to Antonin Bonnet at Michelin-starred Mayfair restaurant, The Greenhouse. 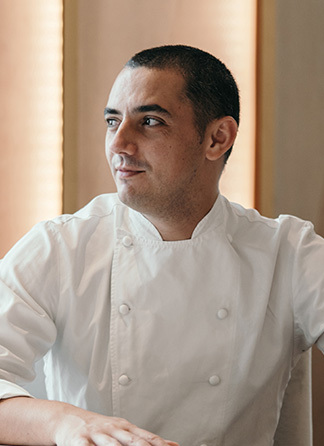 He moved to Singapore in 2008　to take on the role of Chef de Cuisine at JAAN at Swissotel the Stamford, Singapore. 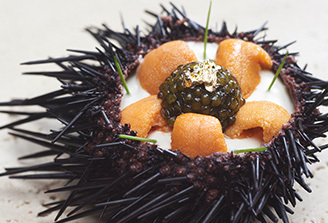 During his four-year tenure, the restaurant received numerous accolades under Royer’s leadership, including 11thplace on the Asia’s 50 Best Restaurants 2015 and 74thon the World’s 50 Best Restaurants 2015 long list.